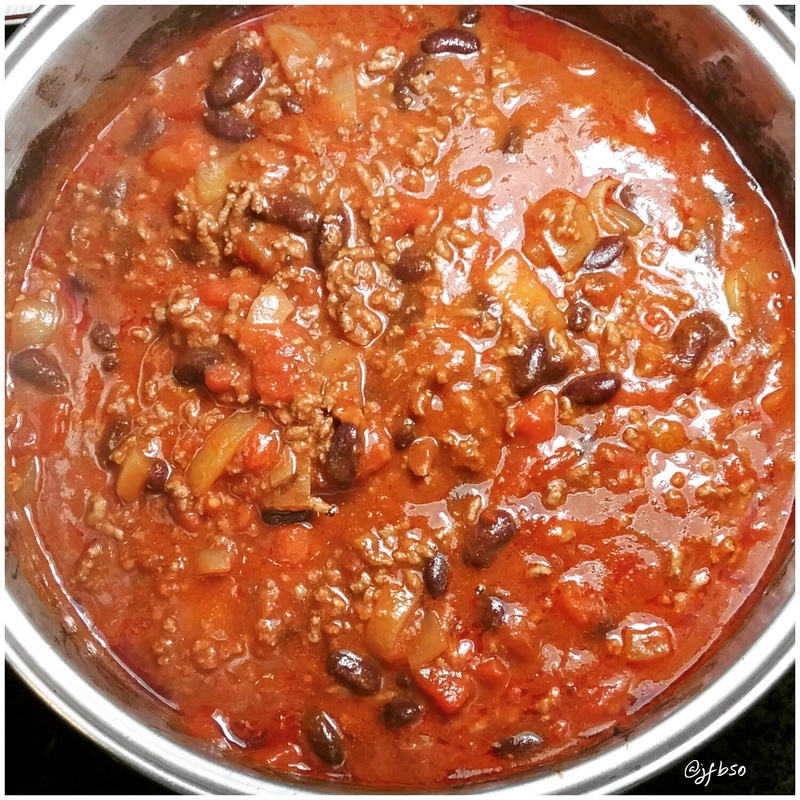 Chilli with a hint of chocolate | Jo's food bites. Heat the oil in a large oven proof pan. Add the onions and cook until soft. Add the mince and stir untill browned. Add the tomatoes, kidney beans and spices and stir thoroughly. If the mixture seems dry add half a tin of water. Before putting the chilli into the oven to finish cooking add the chocolate and stir until melted. Serve with rice and a bowl of melted cheese laden tortilla crisps.